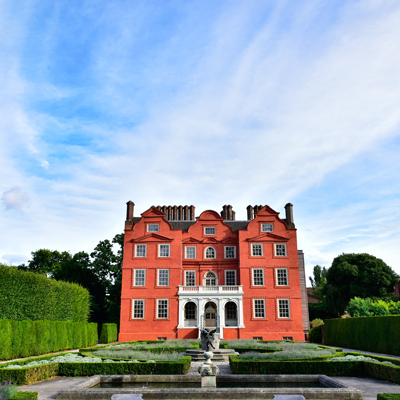 The Elvetham in Hampshire is a stunning, family-owned estate, set in 35 acres of beautiful gardens. Multiple dining and reception rooms, plus extensive grounds, host their stylish weddings; from elegant ceremonies to lavish receptions, their personal touch will facilitate your perfect wedding! They have very convenient transport links, located fifteen minutes from both the M3 (J4a & J5) and M4 (J11) and just 40 miles from London. Personal service is the order of the day at The Elvetham. Their Wedding Specialists will guide you through every detail of your big day, all with a smile! If you’re after complete exclusivity, their exclusive-use option allows you to hire the full house and grounds so it’s entirely yours. The Oak Room with rich oak panelling and floor to ceiling windows. The Drawing Room with decorative fireplace and ceilings. The Drawing Room Bar, a great place to unwind with views of the formal gardens. The Library featuring ornate fireplaces and a sense of grandeur. The Grand Staircase, perfect for wedding photos as you’re framed by stained glass windows. The Conservatory with stunning views of the gardens and filled with light. Garden Summer House licensed for your ceremony. From late November to late January their Winter Conservatory is available for receptions up to 320 people. 72 rooms, including a honeymoon suite for your first night as a married couple! 32 acres of ground including; croquet lawn, over 80 ornamental trees, rare Egyptian geese, formal gardens and a 400 year old oak tree planted by Queen Elizabeth I. The team look forward to welcoming you to The Elvetham! Tie the knot at The Elvetham on selected dates within the next 12 months and save on your dream wedding with their late availability offer. Additional guests charged at £50 per person. Prices shown are based on a minimum of 60 guests on Friday & Sunday dates and include VAT.